In general most electrical wiring needs testing, from large buildings to kettles. If an item has got a plug top on it and you can move it, then it is classed as a Portable Appliance. 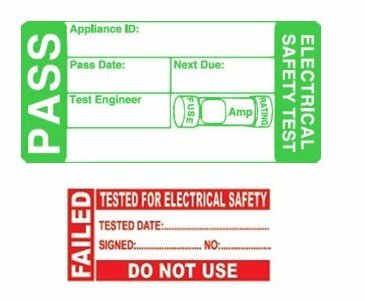 There is a legal requirement that employers ensure the electrical safety of any equipment that their employees use in the course of their work. This includes computers, phone chargers and those hidden fan-heaters under their desks! Portable Appliance Testing is usually required by insurance companies. The fixing of a compliance sticker on the item. The testing of an item takes about a couple minutes. In addition to marking all items which have passed with a compliance sticker, we will provide copies of all test results for your records.